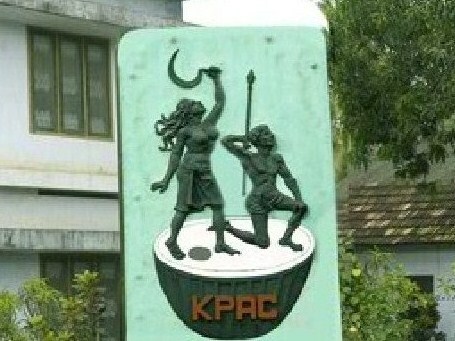 This year for May Day, I’m honoring the Kerala People’s Arts Club. I wrote a bit about KPAC about 20 months ago, when I also posted the first song here from KPAC’s most famous play-turned-movie, Ningalenne Communistakki (“You Made Me a Communist”). I’m going to include a couple of songs from that film today, as well as a song clip from another film and audio clips. Much of this is sweet, spirited music, great stuff for a happy May Day! I haven’t posted this one before, but it seems to be a different variation of the song I posted 20 months ago. Unfortunately, the video is cluttered with annoying banners and logos, but the clip is still very cute and sweet. I have a theory that only in Kerala could they make communist movies that look and sound this cute and sweet. This song is from the other KPAC play-turned-movie, Mooladhanam. This is great!